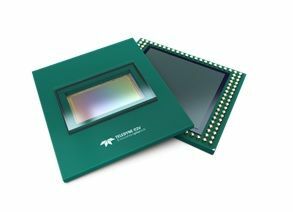 HONG KONG, Aug 30, 2018 - (Media OutReach) - Teledyne e2v, a Teledyne Technologies company and global innovator of imaging solutions, announces Snappy 2 megapixel, a new CMOS image sensor designed for barcode reading and other 2D scanning applications. The sensor uniquely combines full HD resolution, a 2.8um low-noise global shutter and advanced features for fast and economic decoding, all within a small optical format. From pixel performance, to integrated real-time features, every aspect of the Snappy sensor has been optimised to enable fast and accurate scanning of 1D and 2D barcodes. This enables scanning platforms to offer enhanced productivity and throughput in logistics, sorting, retail POS, and many other associated verticals. Snappy's features are also useful in a number of other applications including drones/UAVs, embedded imaging, IoT edge devices, intelligent surveillance cameras and augmented reality/virtual reality. Gareth Powell, Marketing Manager at Teledyne e2v, said, "Snappy 2MP is the first in a range of innovative sensors specifically aimed at barcode reading and is designed to empower handheld, mobile or fixed readers and automatic identification cameras with better than ever performance. The new sensors feature our patented Fast-Exposure mode, which ensures that the first image frame is correctly exposed to enable the fastest possible identification and decoding by the image processing system, even in diverse or rapidly changing light conditions." Samples and demo kits are now available; if you want to have a close up on our Snappy, please visit our booth 6C46 & 6C47 at 20th CIOE China International Optoelectronic Expo, on September 5 til 8, at Shenzhen Convention & Exhibition Centre, China.